As Coventry is named City of Culture 2021, here in the Image+ offices we’re wearing huge smiles (and possibly a couple of party hats). We’re proud of our Coventry roots – we’ve been based here for nearly twenty years, and can’t think of anywhere we’d rather base ourselves. Our offices at Electric Wharf on the city’s regenerated canal network are everything that made Coventry a successful candidate for City of Culture 2021: vibrant, buzzing, forward-thinking but with links to an incredibly rich past. 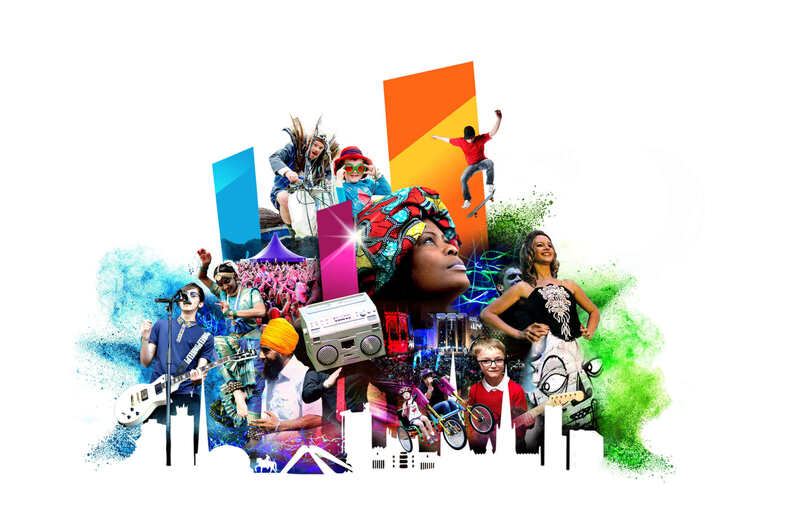 Coventry, City of Culture 2021 (yes, we like the sound of that): it has it all. Medieval heritage in the cathedral quarter, mid-twentieth-century modernism in its remarkable architecture, passionate grassroots commitment to arts of all kinds … it’s a genuinely exciting city, and the rest of the UK is about to find out why in spades. It’s the diversity of Coventry that I think helped tip the balance in its favour: it welcomes everyone and has room for everything. At Image+, we have on staff huge fans of Shakespeare and massive football nuts, petrol heads and live music goers. Coventry and its surrounding area cater to us all. The website we built for the bid reflected this vibrancy: bright and colourful and with plenty going on, it also crafted a single identity for the bid and sought to bring together an awful lot of fizzing activity. It used events, social media, videos and bold colours and graphics to really bring home the bid’s particular character and personality. We’re pretty proud of what we contributed. Coventry has its own particular energy, and the challenge for the bid was bottling that to present it to the panel of judges in distilled form. The website we built was a part of that process, of course, and we are made up that we helped in a small way to win this prize for our city. But the real winners are the people of Coventry themselves – and we’re pleased as punch to be a part of that crowd. In short: here’s to Coventry, City of Culture 2021! We’re not going to get tired of saying that.